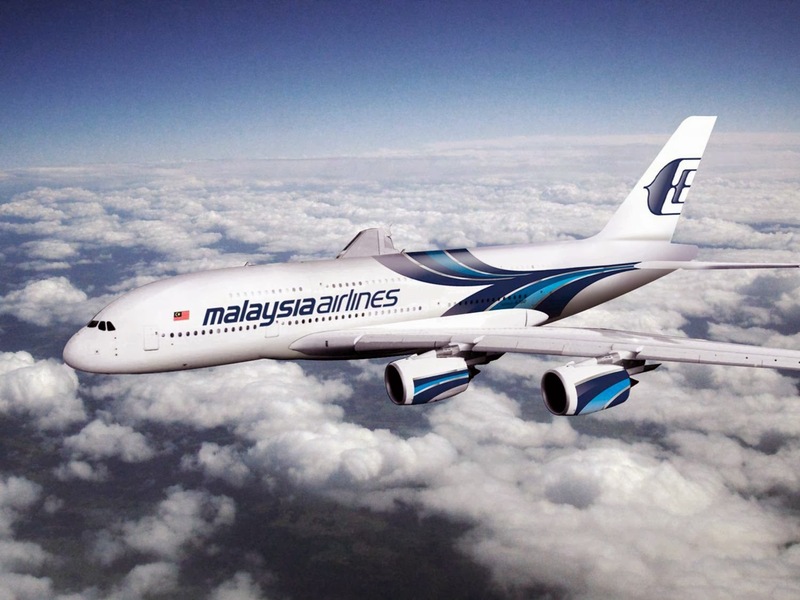 The Rabbi with a Blog (Rabbi Jason Miller): Did Shabbat Save a Life from the Malaysia Airlines Flight? Purim begins this Saturday night and once again the Jewish people will tell the story of our salvation. We will listen to the words of Megillat Esther, the story of how our ancestors were miraculously saved from their tragic death. Indeed that story is one that celebrates life. The Jewish people were saved from death in ancient Shushan (Persia), as the story goes, because the heroes Mordechai and Esther rose up and saved their people from destruction. As we are preparing for the Purim holiday we are also glued to the TV waiting for any news of the fate of those aboard the Malaysia Airlines Flight #370 which disappeared somewhere between Kuala Lumpur and its destination of Beijing. Oftentimes when a tragedy such as a plane crash or a terrorist event occurs there are those who claim that by some miraculous turn of events they evaded the tragedy. Sometimes these stories are accurate and other times they are debunked by websites like Snopes.com. I learned this morning of a story that has been circulated on the Web about a Jewish man who tried to book a flight on that Malasia Airlines flight from Kuala Lumpur to Beijing, however the travel agent being an ultra-Orthodox Jew refused to book him on that flight since it would require traveling on Shabbat. (According to Jewish law even arranging for another Jew to travel on the Sabbath is in violation of Jewish law.) The story, as reported in a blog by Daniel Eleff, the CEO of online travel agency DansDeals.com, claims that his friend was the Sabbath observant travel agent who refused to book the man, whom we only know as Andrew, on that flight. "I wish I can give you a day later, but you know I just don’t like flying Jews on Shabbat," the travel agent wrote to his client Andrew. In turn Andrew told the agent not to hold the Friday morning flight and he decided to book a flight on Shabbat independ of the travel agent. He replied to the e-mail saying, "I guess I’ll just book [the Saturday flight] myself." The travel agent booked the rest of the man's travel itinerary which included flights to Vietnam, Hong Kong, and Melbourne, Australia. According to Eleff's blog post on DansDeals.com, later that evening, Andrew changed his mind and decided not to fly on Shabbat after all. He thanked the agent for prompting him to consider the obligation not to travel on the Sabbath, writing, "I reconsidered, you are right and I should be more observant. I’ll manage without that day in Kuala [Lumpur]." The travel agent booked the Friday flight and both men put the matter aside. On March 7, Andy successfully flew on Malaysia Airlines flight 370 from Kuala Lumpur to Beijing. Exactly 24 hours later, the same flight ended in tragedy, resulting in the presumed deaths of the 239 people onboard. After Shabbat ended on March 8, the travel agent turned on his computer and read the grateful email. “I am so happy for you!” the agent responded. But he saw a larger plan at work in Andy’s close brush with death. “Not I am the life saver. God and Shabbat were your life savers. You owe them something,” he wrote. Now, I have no way of knowing the validity of this story. Neither the travel agent or "Andrew" have identified themselves. The actual e-mail thread with complete headers (authenticated timestamps) have not been shared anywhere. The fact that a seasoned traveler like "Andrew" would just accept his travel agent's refusal to book him on the flight of his choice because of the travel agent's religious beliefs seems odd. Why wouldn't the travel agent have another agent, who didn't object to customer's traveling on the Sabbath, take care of the booking? 1. After a tragedy such as the mysterious disappearance of a plane like this Malaysia Airlines flight -- when we still don't know if it was a terrorist act and many people are anxious -- the public craves a positive, uplifting story. The news media is likewise seeking a story of hope like this one when a life was saved. In fact, many news agencies like the Forward, JTA, Haaretz, Times of Israel, Algemeiner and the Jerusalem Post quickly published this story without too much fact checking. Usually, editors would wait until credible sources like the travel agent or "Andrew the traveler" could be contacted. 2. This story encourages Sabbath observance in a way that will surely strike a spiritual chord with many people. I'm in favor of getting more Jews to observe Shabbat, but I believe that we should encourage it in a positive way. By explaining the beauty of Shabbat dinner, a day unplugged with family, Shabbat experiences in synagogues with community and so on, we encourage more Jews to enjoy Shabbat. Telling the story of how one man ultimately decided to not board a plane on Shabbat because his religious travel agent wouldn't book the ticket for him and then the plane mysteriously disappears with 239 people aboard should not be the strategy for persuading Jews to observe Shabbat. Was this story fabricated to get more secular Jews to observe Shabbat? Possibly. But even if this story actually occurred, I offer that it's not the appropriate message for a Shabbat observance campaign. 3. The cynical side of me wonders if this story was published to promote Dan Eleff's travel agency. As this story goes viral the many mentions of Eleff's online travel website increase exponentially. It's free exposure for his website that's for certain. 4. There have been fabricated stories following tragedies such as this in the past to promote Jewish observance. In 2006 a hoax circulated the Web about a man who was going to LA on an important business trip and had to make this flight. He boarded the plane, watched the doors close, and sat down. Suddenly he remembered that he left his tefillin (phylacteries) in the terminal boarding area. He politely asked the stewardess if he could go back and retrieve his tefillin, which were sitting just a few feet from the gate. She told him that once the doors of the plane closed, no one was allowed off the plane. Not about to take this sitting down, he asked if he could speak to the pilot to obtain special permission. Surely the pilot would understand. The pilot did not comply. He simply restated the policy. He didn't want to lose his tefillin so he kept arguing until they threw him off the plane. He watched from the terminal building as the flight took off. It was United Flight #175. The second plane to reach the World Trade Center. David's devotion to a mitzvah saved his life. This story was proven to be a hoax by Snopes.com. Unfortunately, this made-up story has been retold many times as fact and even included in books by rabbis. So there is clearly precedence for such hoaxes. Even if this story is eventually proven to be legitimate, it doesn't mean that Shabbat or God saved his man from being on that fateful plane last Saturday morning. It's happenstance. If another man decided not to book this particular flight because he decided it was more important to attend Catholic Mass on Sunday at his church, does that mean that Catholicism saved his life the same way Shabbat observance saved Andrew's life? Are those competing miracles? Competing truths? Imagine the theological quandary people would have if this coming Shabbat Andrew, now Shomer Shabbos, gets hit by a car on the way to synagogue and dies. Shabbat observance isn't intended to save lives in the way this story presents that message. I am afraid that stories like this give people the impression we should keep the Sabbath so that we are saved from incidents like Flight 370. This is entirely false. God commands the Jewish people to keep the Sabbath. Several reasons are given in the Bible and the rabbis of the Talmud and their successors provide other lessons and meaning to Sabbath observance. None of our sources teach that the Sabbath is to be observed so that God will save you. Sabbath observance is not a charm or talisman. Making the Sabbath into an amulet is religious malpractice that detracts from its innate beauty and vibrancy. It is downright offensive. It’s akin to saying the Mona Lisa is beautiful because it wards off the evil eye or that Niagara Falls is awe-inspiring because its waters can heal the sick. What are we to make of this story? Nothing really. Things happen. It was noble of the travel agent to suggest keeping the Sabbath in a pleasant way and it was nice that the traveler valued the Sabbath enough not to travel. The traveler should feel grateful that his choice to connect with his Jewish roots might have spared his life. But we who hear the story dare not conclude with any certainty that God saved this one traveler for this or any particular reason. Most importantly, we must not turn the Sabbath into a magic trick. The Sabbath its own eternal meaning. Let’s explore the rich tradition of the Sabbath and soar to the heights of one of the great spiritual gifts of Judaism, the Sabbath. I'm still awaiting word on what actually happened to Malaysia Airlines Flight #370. My prayers of sympathy go out to the grieving family and friends of the passengers of that flight. And while there will be those who find the "miraculous" story of the man who didn't get on that flight because of his Shomer Shabbos travel agent to be inspirational, I remain troubled by its message. I think we all need to be more cautious as to the authenticity of such stories, and even if the story is validated I will remain troubled by its message. This weekend I'll be celebrating Purim, not one man who decided to not take a fateful flight. In the original blog post, the famous quote from Ahad Haam is included: "More than the Jews have kept the Sabbath, the Sabbath has kept the Jews." I don't think that Shabbat saved this man's life. I think that's a dangerous message to send. My wife's great-grandfather was Shomer Shabbos and was killed by a drunk driver walking home from shul on Shabbat. Does that mean that Shabbat killed him the same way it "saved" this man? Hey Rabbi Jason. I've been a reader of your blog for a while now and quite enjoy it. I was a bit turned off by this post though. I''ve been following Dans Deals for a while as well and there is no reason to believe he is fabricating the story in any way. As someone who has gotten to " know him" through his own posts he is definitely not one to make up or exaggerate a story just for his owns site benefit. Also, had you delved a bit more into who Dan is and what his site is about you would know that Dan does not even have a travel agency. Though I do understand being skeptical of reading things on the internet especially written by people who may not be familiar with, it seems pretty harsh to not just doubt the story but come across as doubting the man who shared it and his values. On a separate note I do agree that stories like this aren't always helpful being shared and can appreciate the valid concerns you shared of the negative effect such a story can have as well. I've read the "Dan's Deals" web-site original. I highly doubt that Dan's deals would make this story up or fabricate such an email. With that said - people come to their own conclusions about happenstance. If Andrew or other non-Shomer Shabbat Jewish people come to the conclusion that the decision to not travel on Shabbat "saved" Andrew's life - then that's the conclusion that they draw and that's taking something positive out of the tragedy. That conclusion could be drawn inversely when something bad happens to someone doing a mitzvah -as in your wife's grandmother's example - and such an occurrence could draw Jews away from Sabbath observance or Torah observance itself. In my opinion it is safe to say that without prophesy - we can not fully come to a conclusion of what Hashem had in store or "why" someone was saved and we can only look at each 'miracle' or tragedy with our own limited faculties. Your thoughts? Thanks for the comment "Thoughts". I did check out DansDeals.com thoroughly and first encountered it a couple years ago as it was one of the travel websites that promoted the erroneous El Al flights to Israel deal (JTA article). It is true that DansDeals.com based in Cleveland is not a travel agency, but rather an online deal agregator and marketer. I thought I was pretty clear (and fair) in stating that it is possible that this wasn't a hoax and that it really happened as Dan reposted the e-mail thread. My problem as I clearly stated has to do with this story on theological and religious grounds. Had the travel agent encouraged him to take the Saturday flight instead of a Friday flight would we be finding religious meaning in it? What if the traveler had booked the flight on his own for Saturday's doomed flight? Would we be reading theological meaning into it then? Therein lies the problem with any story like this. For as many stories as there are about someone's life being saved because they did the ethical act (or the act that was within the framework of a religious set of laws) there are stories of people who lost their life despite choosing to do the ethical act or the action that followed a set religious belief. It's a very problematic way of looking at religion -- perhaps a dangerous way too. I would like to hear if it turns out to be true or not. The travel agent would be a hero. I heard of a man who was running late and missed the flight. That happened with a planned passenger for one of the 9/11 flights as well. The traveler here was probably annoyed with the travel agent but it ended up saving his life. I'm not Jewish but I find the story inspiring. I believe that miracles sometimes happen. I hope they find the plane soon. I'd like there to be another miracle, that they are all alive, but I know that it is totally unlikely. "it was just happenstance that I happened to be there"
Nothing is happenstance my friend. I won't pretend to know why G-d saved this man, but please don't say it was happenstance. You saying it was happenstance is just as wrong as those saying he was saved because of Shabbos. Both of you have the arrogance to take a stance on why this guy was saved. this only mean one thing, the travel agent has prior knowledge of malaysian air miss-route.